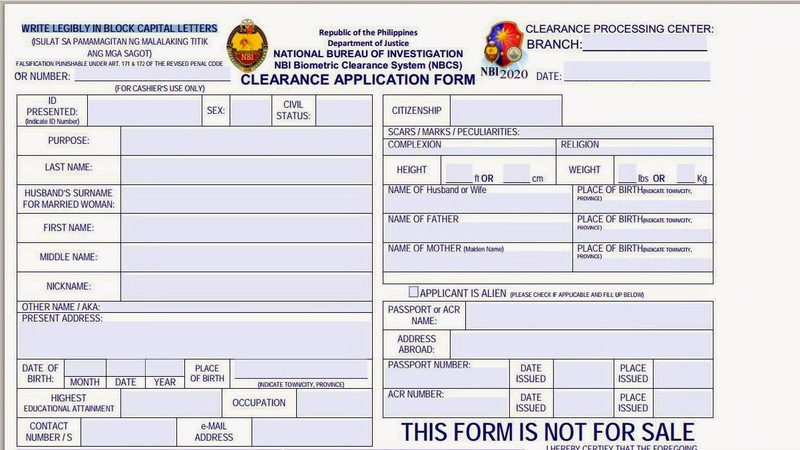 The NBI(National Bureau of Investigation) clearance is the very important pertinent document papers need for our any requirements in applying jobs and or travel abroad here in the Philippines. 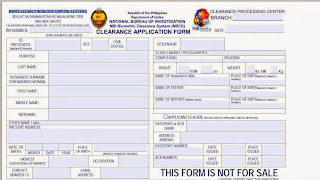 Normally, we need to wakeup earlier to avoid the long line of applicant before to get the NBI Clearance Application Form. And be sure to bring your Valid ID, such as: company ID, Govt. ID, or else bring your all valid ID's to assure that you have an ID to present or endorse when you are now inside the NBI office and bring your black ballpen and the payment exactly, not a big bills to avoid the cashier to find change that cause a time delay during the processing. Then when it is displayed in your screen, just WRITE LEGIBLY IN BLOCK CAPITAL LETTERS or follow and type your personal information using a big capital letter using the CAPSLOCK of you keyboard. Once you have now the Form, go to the NBI office, the address is along Bajada St., Davao City, just infront the Victoria Plaza before Abreeza Mall. Goto the verification table personnel and have to check your form, just ask help of the intern personnel. Be sure that you have valid ID to present during the verification. Once finish to verify, go to the cashier or just follow the intern personnel instruction.Prepare your exact payment just what I said above of this post. After the cashier payment, goto to the encoding door, seek the help of the intern personnel. After this if your name is not compromise or no case filed, your finish now not more than in 1 hour with your NBI Clearance.